Filmmakers (from right) Katheryn Tolbert, Lucy Craft and Karen Kasmauski are all first-born daughters of Japanese war brides. 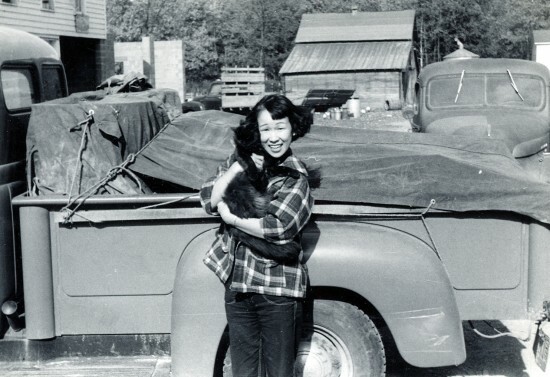 They are seeking donations through a Kickstarter campaign to help shed light on a rarely told, fascinating slice of modern Japanese American history. 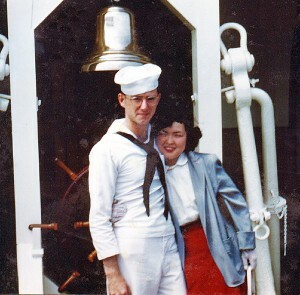 Emiko and Steve Kasmauski in 1952 in Japan. 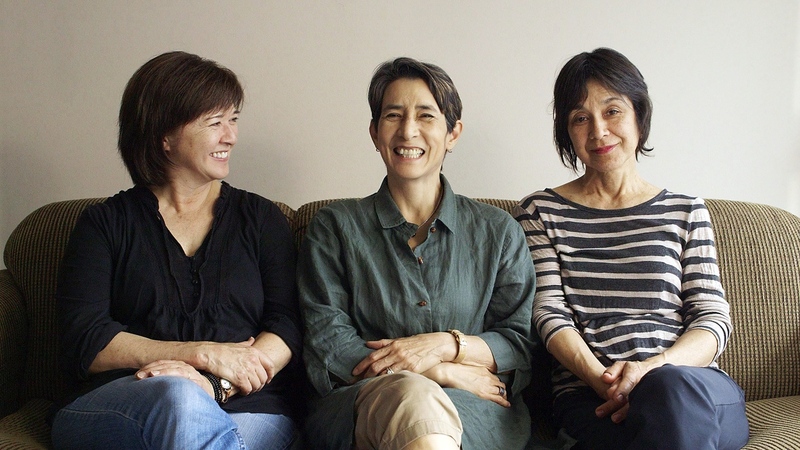 Tolbert, Kasmauski and Craft will partner with documentary filmmaking company Blue Chalk Media, based in Brooklyn, N.Y. and Portland, Ore. They will film in Elmira, N.Y. and use archival film and photographs as well as current interviews and footage. 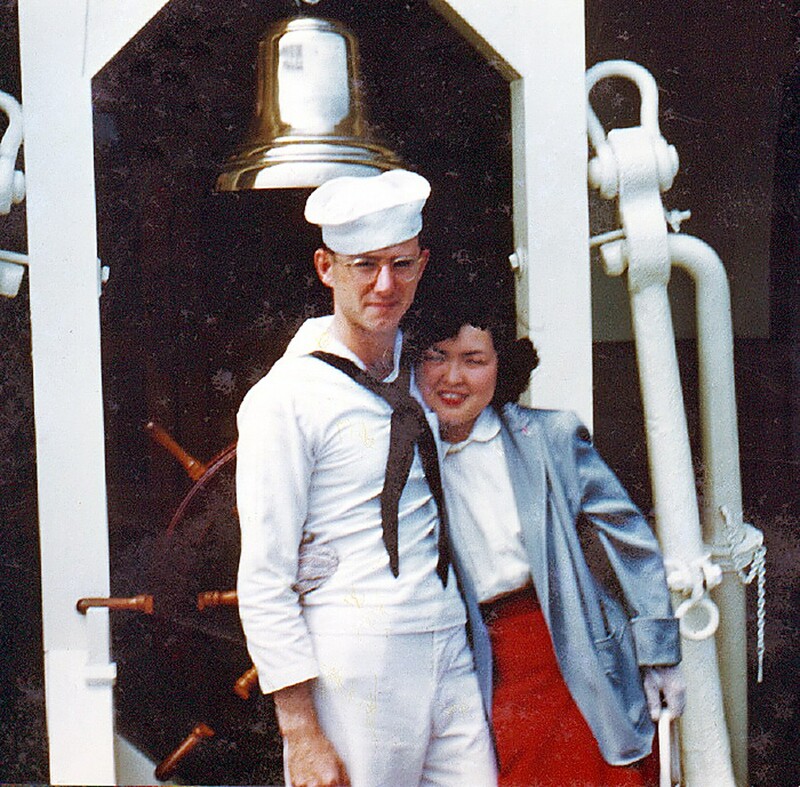 The title, “Fall Down Seven Times, Get up Eight,” a Japanese proverb, conveys the resilience, endurance and stubborn refusal to give up that characterized their mothers and the many others they interviewed in the Japanese war bride community. The film’s Kickstarter fundraising campaign started Sept. 16. According to Kickstarter’s all-or-nothing rules, if the target goal of $24,000 is not pledged within 30 days, the project receives nothing. Donations large and small are needed. Kathryn Tolbert’s mother, Hiroko, on a farm in 1953.